With your success utmost in our minds, we have developed the XtaLAB Synergy-S X-ray diffractometer for single crystal X-ray diffraction. Using a combination of leading edge components and user-inspired software tied together through a highly parallelized architecture, the XtaLAB Synergy-S produces fast, precise data in an intelligent fashion. The system is based around the PhotonJet-S series of microfocus X-ray sources that incorporate continuously variable divergence slits. These third generation sources have been designed to maximize X-ray photons at the sample by using a combination of new optics, new, longer life, tubes and an improved alignment system. PhotonJets are available in Cu, Mo or Ag wavelengths in either a single or dual source configuration. The XtaLAB Synergy-S single crystal X-ray diffractometer comes with kappa goniometer that incorporates fast motor speeds and a unique telescopic two-theta arm to provide total flexibility for your diffraction experiment. The system is also equipped with your choice of HPC X-ray detector, including the HyPix-6000HE, PILATUS3 R 200K, PILATUS3 R 300K or EIGER 1M. Continuously variable divergence slit option lets you resolve reflections from long unit cells. This video shows the XtaLAB Synergy-S single crystal X-ray diffractometer in action. Watch the fast diffractometer race the Rigaku office coffee machine to obtain a the X-ray crystal structure; this system is fast! If you are unable to view this video, click here to download it (392 MB). 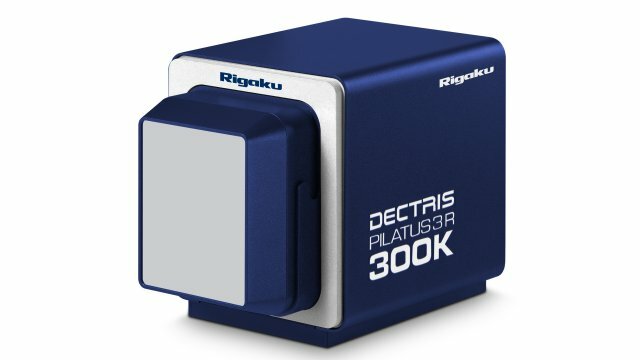 Rigaku Oxford Diffraction now offers the HyPix-6000HE Hybrid Photon Counting (HPC) X-ray detector. Like all HPCs, the HyPix-6000HE offers direct X-ray photon counting, single pixel point spread function and extremely low noise. The HyPix-6000HE HPC offers a small pixel size of 100 microns, which allows you to better resolve reflections for long unit cells as well as improving reflection profile analysis. The HyPix-6000HE has a high frame rate of 100 Hz, as well as a unique Zero Dead Time mode providing the ultimate in error-free shutterless data collection. The HyPix-Arc 150° is a unique, curved Hybrid Photon Counting (HPC) X-ray detector for single crystal diffraction applications. HyPix-Arc 150° has the highest 2θ range at a single position available for the home lab. The HyPix-Arc 150° offers 150 degrees angular coverage from edge to edge. This is more than enough to collect complete single crystal diffraction data, according to IUCr guidelines, for even Cu Kα X-ray wavelength from a single theta position. High and low angle data are measured at the same time, under the same conditions for better scaling, faster data and reduced dose time. A curved detector minimizes peak distortion by ensuring that, even at short crystal-to-detector distances, diffracted beams are closer to perpendicular than is possible with a flat geometry. 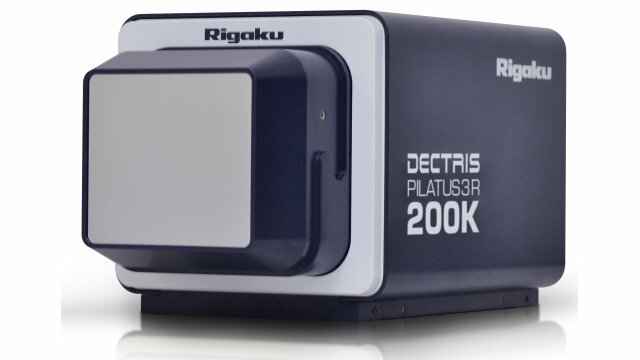 The PILATUS3 R 200K is a hybrid photon counting (HPC) X-ray detector designed to achieve the best possible data quality for diffraction experiments. HPC detectors are direct-detection, single-photon counting devices that have essentially no noise and high sensitivity. Moreover, the high dynamic range excellent DQE characteristics for the PILATUS3 R 200K means that they it is well suited for accurately measuring weak reflections alongside very strong reflections - overload corrections and separate scans for weak and strong data are not necessary. The readout time for the PILATUS3 R 200K is 7 msec readout speed, making it capable of true shutterless data collection, thus removing errors associated with shutter open/close and goniometer start/stop events. HPC X-ray detectors have revolutionized the way data are collected at synchrotrons and the PILATUS3 R detectors bring those same capabilities to collect the best possible data at home. The PILATUS3 R 300K is a hybrid photon counting (HPC) X-ray detector that is desirable by labs who desire the benefits offered by PILATUS detectors combined with 4-circle goniometers, but prefer a larger active area. HPC detectors are direct-detection, single-photon counting devices that have essentially no noise and high sensitivity. Moreover, the high dynamic range excellent DQE characteristics for the PILATUS3 R 300K means that they it is well suited for accurately measuring weak reflections alongside very strong reflections - overload corrections and separate scans for weak and strong data are not necessary. The readout time for the PILATUS3 R 300K is 7 msec readout speed, making it capable of true shutterless data collection, thus removing errors associated with shutter open/close and goniometer start/stop events. HPC X-ray detectors have revolutionized the way data are collected at synchrotrons and the PILATUS3 R detectors bring those same capabilities to collect the best possible data at home. The XtalCheck system includes software that facilitates both visual and diffraction imaging of crystallization experiments. With the XtalCheck system, one can easily survey many crystallization experiments by eliminating the need to harvest and cryo-cool samples. Moreover, one can perform serial crystallography experiments, by collecting data from multiple crystals, to achieve complete data sets that can be used for structure solution. The Oxford Cryostream Cooler: The 800 Series Cryostream is the most robust, efficient and user-friendly liquid nitrogen based low temperature system available today. Specific features include a superior laminar flow system, meaning virtually zero risk of icing, extremely quiet running and a fast-start system resulting in a cool-down time to 100K of just 20 minutes. Now with full 64 bit compatibility! 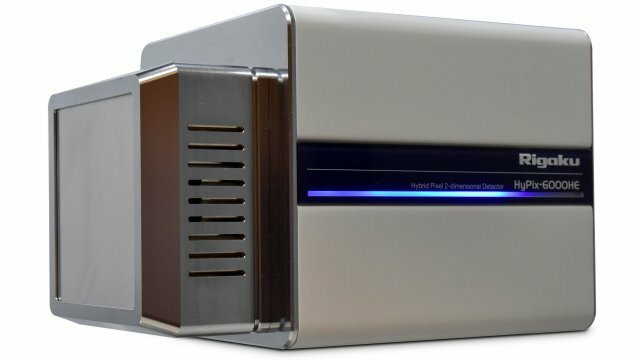 Rigaku Oxford Diffraction single crystal X-ray diffractometers come complete with CrysAlisPro, our user-inspired data collection and data processing software for small molecule and protein crystallography. Designed around an easy-to-use graphical user interface, CrysAlisPro can be operated under fully automatic, semi-automatic or manual control. The latest release, CrysAlisPro v.40, is now fully 64 bit compatible and ready for the future. As modern diffractometers increase in performance and speed, your experiments generate bigger and bigger images and datasets. Additionally, supporting large detectors with very high pixel counts, such as those more commonly found at synchrotrons, requires large amounts of memory. Moving to 64 bit gives applications access to more memory, enabling the handling of these very large image sizes and data sets. Expanded support for older Rigaku instrumentation and third party hardware is also in this release. See below for other new software features that have recently been introduced. The software is freely available for users of Rigaku Oxford Diffraction single crystal X-ray instruments and can be downloaded from our forum. Please register at http://www.rigakuxrayforum.com. Any queries related to the software may be answered on the forum. CrysAlisPro combines automated crystal screening, the fastest and most accurate strategy software available, concurrent data reduction and automatic small molecule structure solution. Visual feedback is provided for each step with clear, color-coded guidance so that both novices and experts can collect high-quality data in the shortest time possible. CrysAlisPro is built on a command line interface and the GUI retains full manual control options for those that want them. It is your choice how to analyse your data. CrysAlisPro processes data using sophisticated algorithms to provide the highest quality data. As technology or approaches change, our software team incorporates these to further advance data analysis and processing. CrysAlisPro contains a comprehensive and highly effective range of tools for tackling a wide range of samples from easy to challenging, and non-standard crystal samples. For example, EwaldExplorer and Ewald 3D (NEW!) easily identify effects, problems or artifacts in difficult or problematic datasets. Ewald3D allows visualization of measured reciprocal space in 3-dimensions and in an undistorted way. Identifying diffuse scatter, modulation, subtle twinning, or incorrect instrument models is quick and easy with this brand new feature. Exporting frames or data from CrysAlisPro into suitable alternative formats such as mosFLM, XDS, Denzo (HKL 2000) or another Esperanto format is easily achieved. Use CrysAlisPro’s data collection strategy to achieve the best data coverage in the quickest possible time and then automatically output into HKLF format for small molecule datasets or into the MTZ format for protein datasets. CrysAlisPro is used by numerous research groups to process their synchrotron data. Our software is capable of importing data from several different detector types; known or unknown. AutoChem is the ultimate productivity tool for small molecule chemists, offering fast, fully automatic structure solution and refinement during data collection. Developed in collaboration with OlexSys Ltd (Durham University, UK), AutoChem works in conjunction with Olex2 where more advanced structure solution and refinement functionality exists. AutoChem is seamlessly integrated within CrysAlisPro, and forms an integral part of our ‘What is this?’ feature. The ‘What is this?’ feature gives you structures in seconds and ensures you are not wasting time collecting full datasets on known samples or starting materials. It is an alternative pre-experiment option, which is used to plan your full data collections. I underestimated the impact a new system would have on the workflow and our ability to analyse multiple samples. It has allowed us to remain competitive, and to be able to provide the necessary service support for research groups in the department. Dr. Henrik Friis is Associate Professor in Mineralogy in the Natural History Museum, University of Oslo. Prior to the installation of the new XtaLAB Synergy-S system in early 2018, Dr. Friis had no direct access to a single-crystal X-ray diffractometer system: yet he depends upon single-crystal diffraction techniques extensively to advance his work in relation to a wide range of recently-discovered minerals and new materials research. With a large number of collaborators, worldwide, Henrik was in a position to collect some single-crystal data in the laboratories of his research partners and at a number of central research facilities. There were several reasons for purchasing the XtaLAB Synergy-S system, as discussed, below. My decision was ultimately cemented by doing a demo of the instrument and I would recommend that anyone considering making a purchase do one, either in person or virtually. I absolutely would recommend my new system – the combination of speed, quality and design has transformed the way that we are doing research in the facility. The “What-Is-This (WIT)” function means that students’ crystals can be checked more or less immediately. There is no longer the sense that we can’t waste our time and valuable machine time on crystals of well-known compounds. The ELement ANalyzer is a state-of-the-art attachment that allows us to obtain qualitative information on elements in a single crystal at the same time as X-ray diffraction data collection for a single crystal structural analysis. By measuring the X-ray fluorescence spectrum emitted during X-ray diffraction experiments with the ELement ANalyzer, it becomes possible to perform elemental analysis on a single grain of crystal. The ELement ANalyzer can be used for confirmation the presence of central metal(s) in a mononuclear or polynuclear complex or solvent in a crystal for small molecule X-ray crystallography. There is a broad range of possible applications of the ELement ANalyzer in scientific fields. Small molecule crystallography was never easier to do or own. The XtaLAB mini II is a fully functional benchtop system that gives you the ability to generate 3D structures in your lab.